Tomatillo Salsa Verde is crazy good and easy to make to jazz up your Mexican cooking. Here’s what you’ll need: Salt, 1 extra-large tomato (or 2 small tomatoes is what I went for), 3 Jalapeños, 5 Tomatillos, 1 teaspoon of minced Garlic (about a clove), and 1/2 cup of chopped Green Onions or Chives. Start of by prepping all of your ingredients. 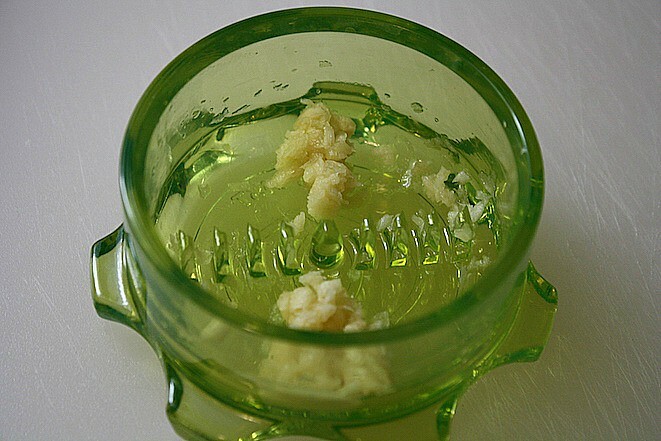 First mince your garlic so you have 1 teaspoon, which should be about one clove’s worth. 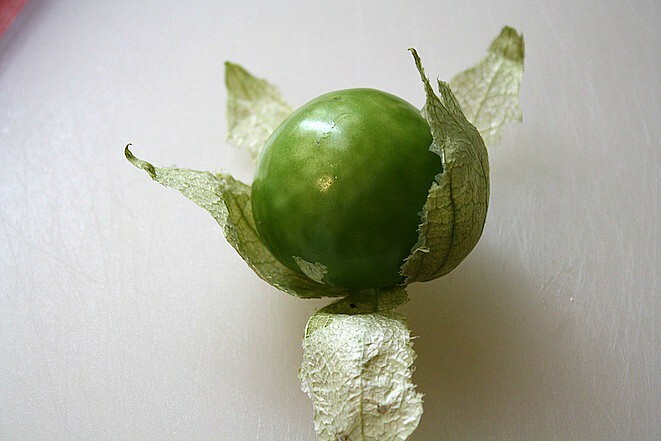 Then remove the husk from each tomatillo and wash well. You’ll notice these guys are a bit sticky where the husk is, so use some fruit and veggie spray if you have it to help you get them nice and clean. 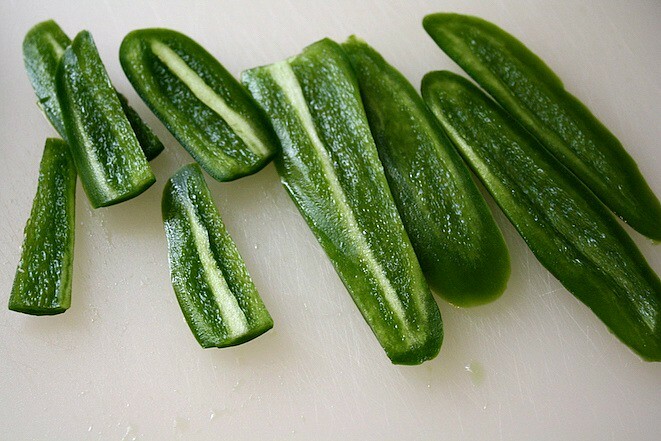 Grab 2 of the jalapeños, and remove the stems. Then remove the seeds and veins as you see here, because this helps make the pepper more mild. 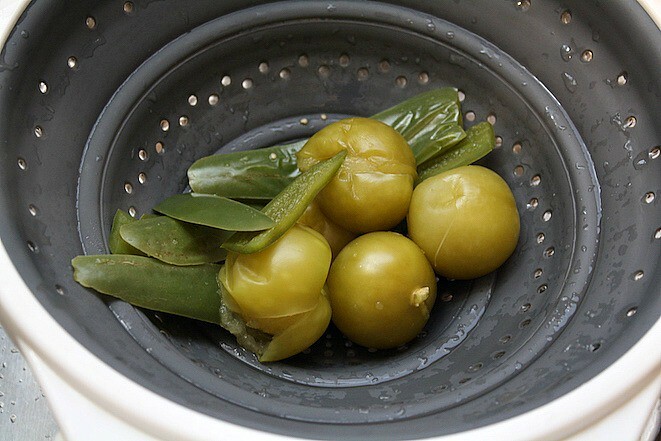 In a small saucepan, place the cleaned tomatillos and the 2 jalapeños you just cut up. Add enough water to the pan so the tomatillos are covered. 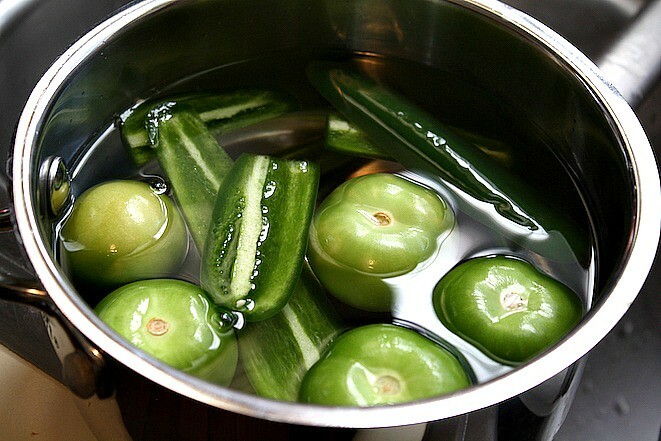 Pop the lid on and heat over medium-high heat until it boils and the jalapeños are tender. It’ll take about 15 minutes. Once the jalapeños are tender, drain the veggies. I probably overcooked mine, honestly, because I waited til they boiled and then let them go for 15 minutes. I would suggest turning the heat up and setting your timer for 15 minutes and then check to see if they are tender. 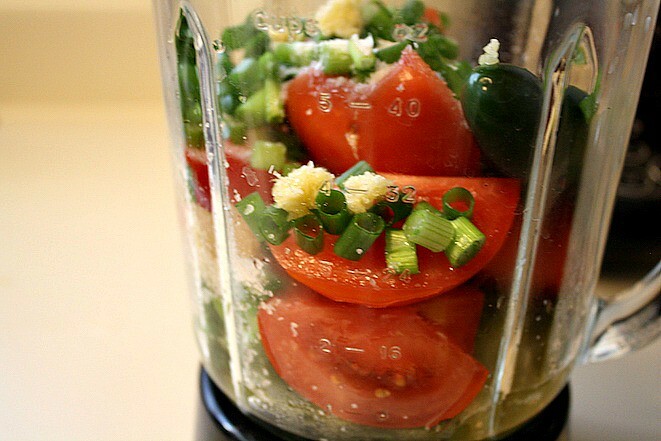 Add the drained veggies to your blender. Then add in the tomatoes (stems removed), the remaining raw jalapeño (stem removed), green onions, minced garlic, and 2 teaspoons of salt. 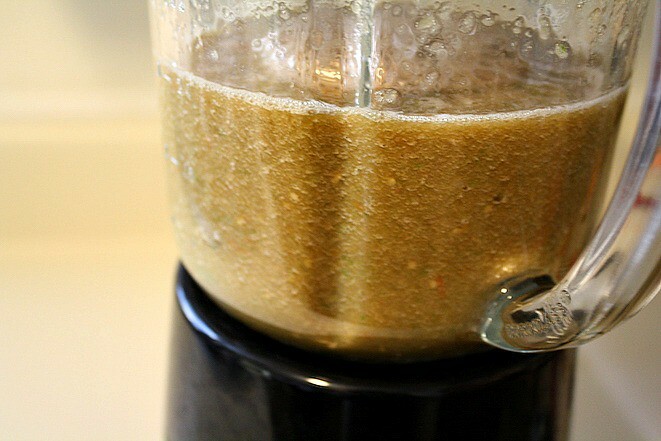 Blend away until the mixture is smooth. 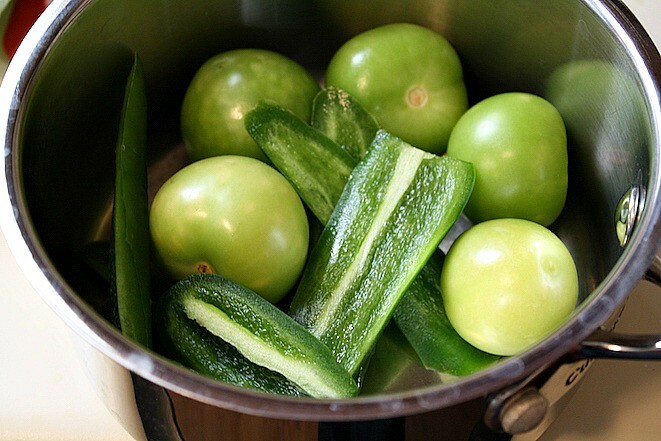 Once the Tomatillo Salsa Verde is smooth, taste it and add more salt if needed. Mine was perfect as is! Finally it’s time to eat the salsa! 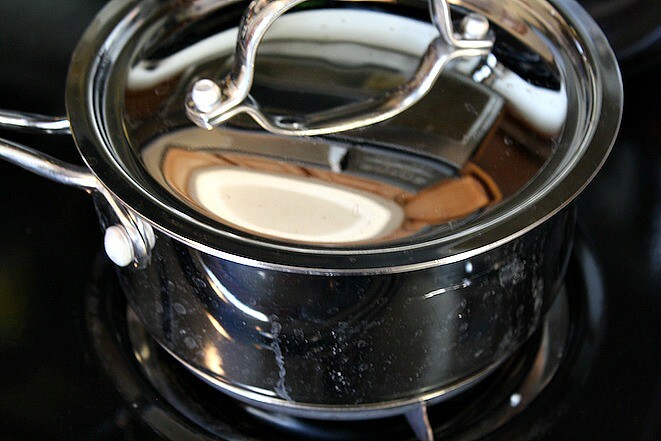 So use it right away or store in an air-tight container in the refrigerator for up to a week. It’s awesome with tortilla chips or use it in this Salsa Verde Chicken Enchiladas recipe! 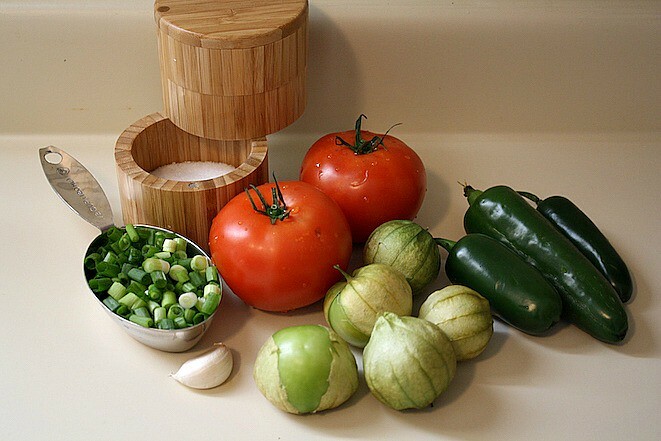 If you have tomatillos on hand, then this salsa is one you must make. It tastes delicious and is so versatile! Prep all of your ingredients (wash and chop). Then place the tomatillos and 2 jalapeños you’ve de-seeded in a small saucepan and fill with enough water that it covers the tomatillos. Cover the saucepan and heat over medium-high heat until the mixture boils and allow to cook about 15 minutes or until the jalapeños are soft. Then drain the tomatillos and jalapeños. 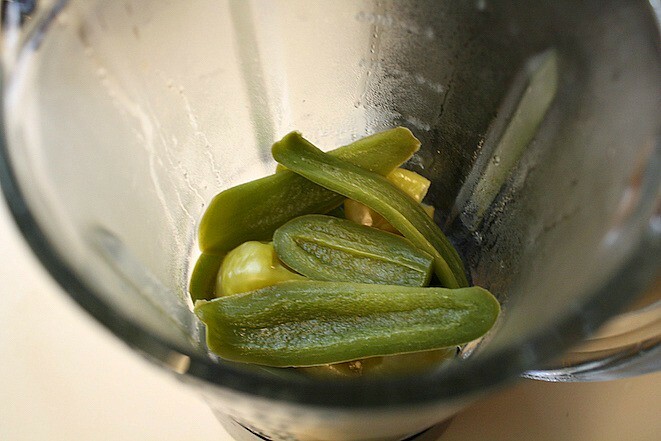 Add the drained tomatillos and jalapeños to a blender. 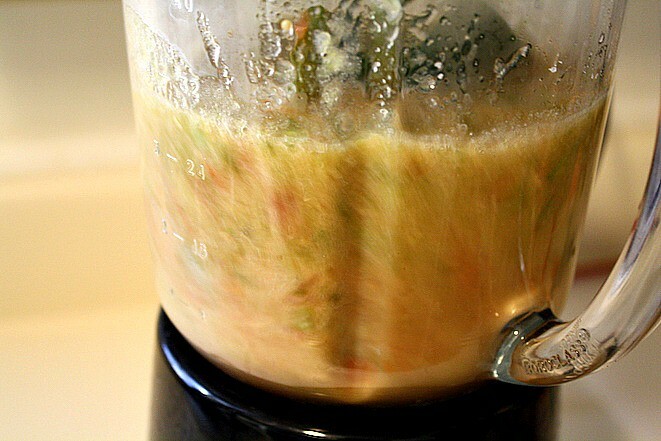 Then add the remaining ingredients including the raw jalapeño, tomato, green onions or chives, salt, and minced garlic. Blend until smooth. Taste and adjust seasonings by adding more salt if needed. 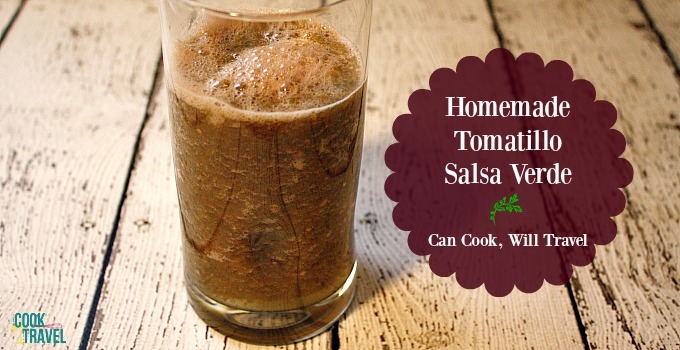 Use this salsa right away or store in an air-tight container in the fridge for up to a week. It's great on it's own with tortilla chips, or as a sauce for tacos or in an enchilada dish. Enjoy!